Michele Ruth was born November 17, 1956 in Newark, New Jersey as the second of five children of the late Dennis Ruth and Gussie Ruth-Herriott. She entered her eternal rest on April 3, 2019. A lifelong resident of Newark, she attended Cleveland Elementary School, West Kinney Jr. High School and Central High School. Over the years, she worked supervising housekeeping for the Newark Airport Marriott and Essex County Hospital Center in Cedar Grove, New Jersey. She also supplied environmental services through the First Occupational Center of New Jersey and worked housekeeping for DB Grant Associates Inc. in New York for a number or years. One of the many joys in her life included maintaining strong family relationships and friendships alike. You could always count on Michele to be in your corner when needed. Michele was truly dedicated to her family and friends. She loved to cook, eat, mingle and socialize whenever those opportunities presented themselves. She was passionate about her family and friends! She took great pleasure in family gatherings, social outings, celebrations, reunions, or ‘just because’ occasions. She also enjoyed taking her annual family trips and vacationing, with Jamaica being her most recent destination. 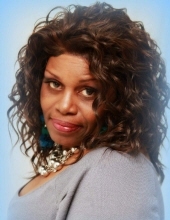 Michele leaves to cherish her memory: her mother, Gussie Ruth; her two sons, Keiane Ruth and Jamal Ruth Powell; and four grandchildren, Shakita Northern, SirDavion Ruth & Kassan Ruth and Assaud Rakim Powell. Of her siblings, she is survived by Adrienne Franklin, Dale Ruth, Darrin Ruth and Ramona Hinton. She was a dear aunt to James Pulliam, Raheem Plummer; Khalifah & Kamilllah Overstreet, Pia Ruth, Samaiyyah Franklin, Atiyyah & Ra’ana Hinton, Dale Ruth Jr. & Amber Ruth, Shamaneek Bryant, Dean Ruth and Rendy George. She also leaves a sister-in-law, Bonita Ruth; brother-in-law, Gregory Hinton; special friend and family member, Niffeterra Williams; and a host of cousins and friends to complete her circle. This Online Memorial has been created to commemorate the life of Michele Ruth. Leave a message on the Tribute Wall to share your favorite memories and offer words of sympathy and comfort. To send flowers or a remembrance gift to the family of Michele Ruth, please visit our Tribute Store. "Email Address" would like to share the life celebration of Michele Ruth. Click on the "link" to go to share a favorite memory or leave a condolence message for the family.